Ex-US State Department terrorism analyst, Joe Hawkins, and MI6 psychiatrist, Kate Farrow, are whistleblowers, wanted by the US and UK authorities for divulging information relating to a corrupt arms-for-oil deal led by a multinational oil company and a top-five weapons manufacturer. When they discover the magnitude of the mystery surrounding the strange occurrences at the headquarters of a prominent environmental group, they know it’s their last chance to fight back. Their journey takes them to an American Indian reservation in the Badlands, the Canadian north, and on to an international summit on global warming. Only if they can prevent the loss of innocent life and expose the corporate and government forces conspiring against them, will they be able to stop running. 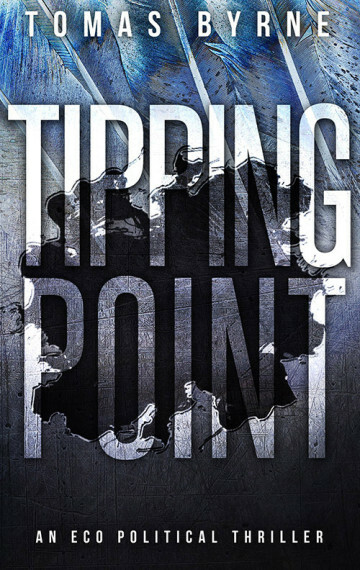 Tipping Point is a powerful and complex story of intrigue and deceit that takes readers on a ride into the dark politics of climate change.